The SERVING & PASSING CLINIC is designed for the player interested in skill training in the fundamentals of PASSING & SERVING. 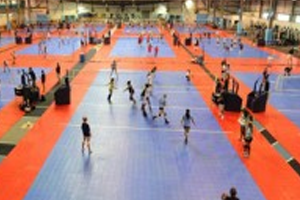 The clinic is geared for the beginner to intermediate level volleyball athlete, where players are grouped by skills and experience. This camp session is a three-hour training session and conducted in air-conditioned Dean Smith Center on the campus of the University of North Carolina. This one day, 3 hour clinic includes TUITION (all commuter session). 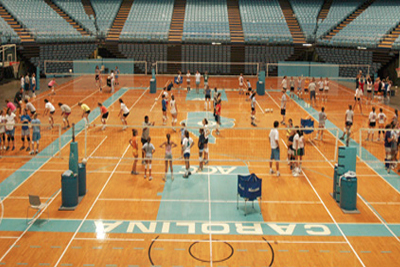 Campers may pre-order and purchase a Carolina Camp “volleyball” (online) for $20. A variety of Carolina Camp t-shirts may be purchased on the day of camp at our camp store. Check-Out for the Serving & Passing Clinic will also be at 1:00 PM from the Smith Center.